One of my proudest moments as a mathematics teacher was embedding indigenous education and fine arts into my Math 8 course. This happened almost 10 years ago in 2008 when the Math 8/9 Integrated Resource Package was being implemented in BC (Canada) in addition to a school district initiative of increasing the instructional time of Math 8/9 by 50% to improve student achievement. For me, teaching two classes of Math 8 at 150 hours with 8 and 9 identified IEP students, respectively, was a new job assignment and challenge. That school year, I was left with more questions than answers. Do more instructional hours in mathematics equate to improved student achievement? How can I bridge the achievement gap in my math class? How can I incorporate Assessment for Learning strategies? 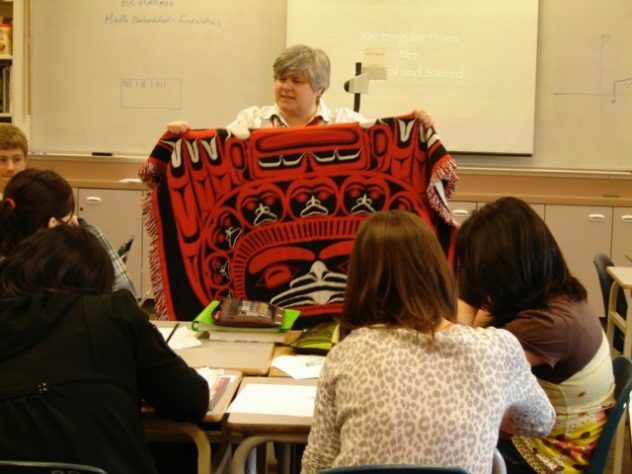 How does Aboriginal Education fit into secondary mathematics? How can I include technology into my instructional practice? 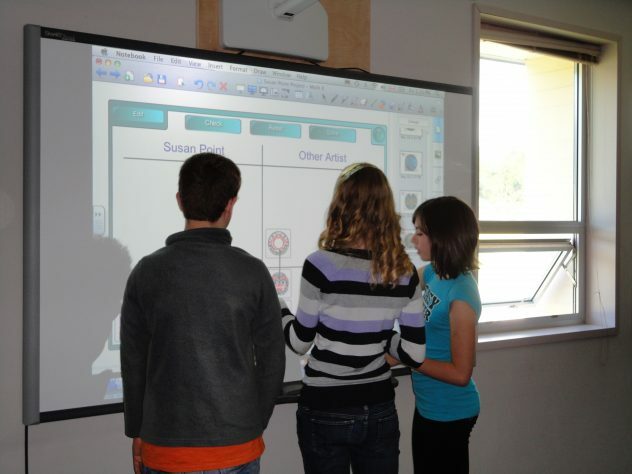 At the time, I was consumed by formative assessment, I wanted to implement the new Math 8/9 (2008) wholeheartedly, and I recently acquired a SMART Board from the school’s Parent Advisory Council. I was always enamoured by Northwest Coast Art and culture. I was born and raised in Prince Rupert, BC. 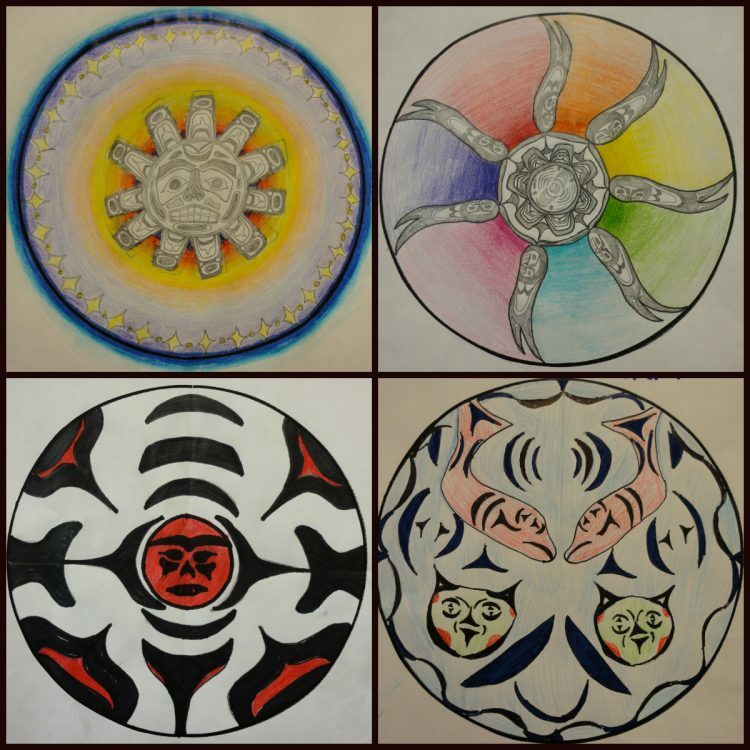 On the Sunshine Coast, I fell in love with the Coast Salish Art and Susan Point’s work with the spindle whorl. I loved the colour, the shape and form, and symmetry. I am a big fan of symmetry. This was our starting point. The learning outcomes for this Math 8 project included linear and rotational symmetry and we titled it, “Math Embedded – A Tribute to Susan Point”. We flipped the focus from mathematics to indigenous education. How was mathematics embedded in indigenous worldviews and ways of being? The team-teaching relationship between Kerry and I took off. Kerry would visit my two Math 8 classes when she could. She would give me a call to see if she could drop by and obviously I would say “yes.” I was the learner too. 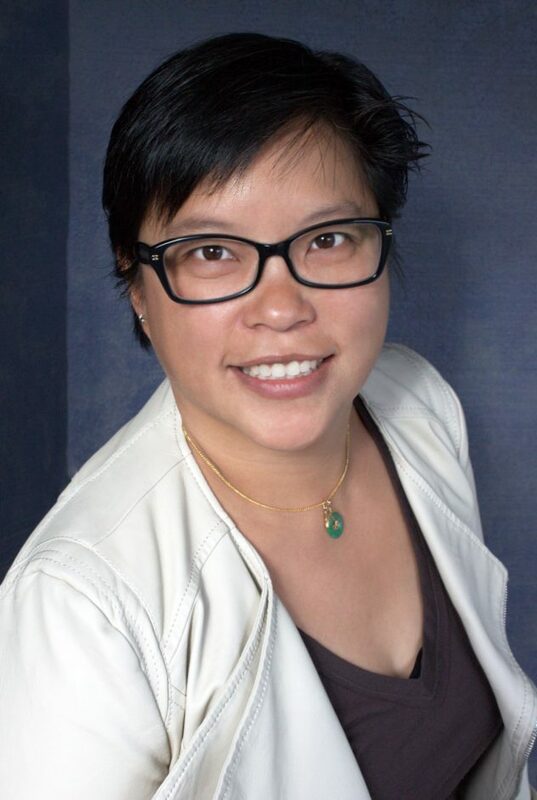 She would teach about aboriginal education and I taught math. Between drop-ins I would find time to run down the hall during class to talk to Enid about Art 8 and what students could do in the context of our project. Enid provided encouragement and suggestions on how students could demonstrate their learning using art. At the end of the project, students were asked to design a spindle whorl design as a Tribute to Susan Point to demonstrate their understanding of the learning outcomes. A few examples are shown in the picture above. They do not look the same but they successfully demonstrated their understanding. The results were personalized. Students were creative, engaged, and dialogical. The best outcomes of this professional learning experience were the unintended outcomes. 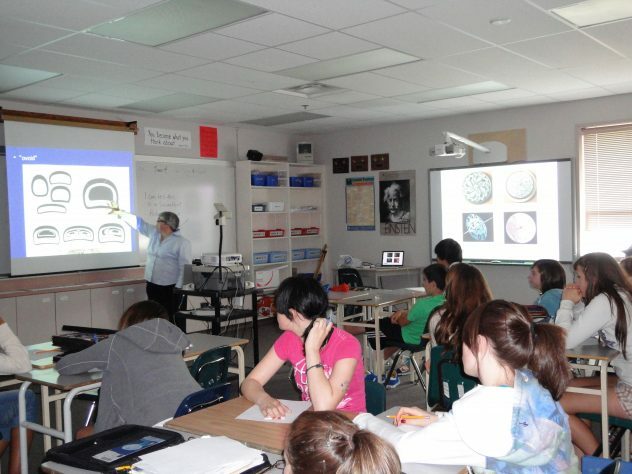 First, students developed a relationship with the District Principal of Aboriginal Education. Second, students continued embedding indigenous education into Math 8 with self-directed learning projects in which they had to design and implement a learning activity that connected to the learning outcomes of Math 8. Students made bent board boxes, button blankets, PowerPoint presentations, artwork, and poetry. Students took control of their learning. Third, students were acknowledging their indigenous heritage. I could not anticipate these unintended learning outcomes and it’s these outcomes that will last a lifetime with these students. I had the pleasure and luxury to imagine what student learning could look like in Math 8 as a cross-curricular experience with indigenous education and art education. Students had the opportunity to imagine how they were going to demonstrate their learning in the context of the project and beyond. Finally, students saw themselves in their own learning and as a result the project was personally relevant and meaningful. This project is everything that BC’s New Curriculum (2016) is asking for and more. Embrace imagination and its uncertainty. In this project, students thrived with ongoing formative assessment, technology was used as a teaching/learning tool, and the achievement gap was successfully bridged. Students excelled in high school math without using a ruler, calculator, or formula. No test was required to know that these students understood the intended learning outcomes. Let’s tap into student strengths and each student’s imagination. We will all benefit.